A Chiefs Women’s Sevens team has returned from Nanjing, China after a week of extensive training and matches with the Jiangsu women’s sevens team. In a special first for a New Zealand Super Rugby Club, the Chiefs sent a Women’s Sevens team to China to train and play with the Jiangsu team with the aim of assisting in their rugby development in preparation for Jiangsu’s berth at the 2019 Women’s World Sevens Series. 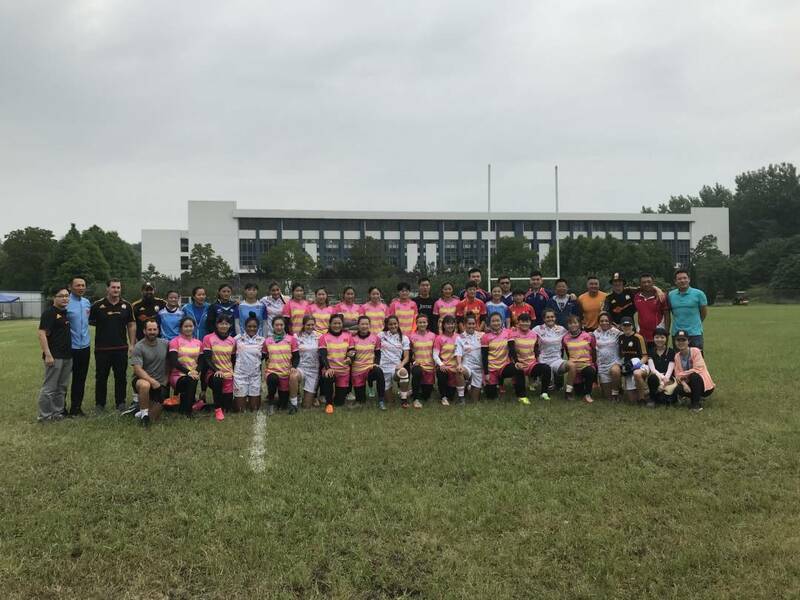 The team came about through a collaborative effort between New Zealand Women’s Sevens, Bay of Plenty, Waikato, Taranaki & Counties Manukau to field a squad and support staff that travelled over to the province of Jiangsu in China. Chiefs CEO Mike Collins spoke of his excitement at seeing the project succeed. The partnership between the Chiefs Rugby Club and Jiangsu was formed in February, where the Chiefs hosted the Chinese team. They were preparing for important matches against Shandong, the number one ranked team in China, where the winner of these games would represent China at the World Sevens Series qualifying tournament in Hong Kong. Following this experience in Hamilton, Jiangsu went on to beat Shandong two games to one, dethroning Shandong who had been the champions for the last eight years. Jiangsu then represented China at the Hong Kong tournament, where they played exceptionally well and ended up remarkably beating South Africa in the final to gain entry to the 2019 Women’s World Series. Collins was thrilled by the progress Jiangsu had made since the partnership began. Chiefs Women’s player Huia Harding spoke of how special it was to represent the Chiefs jersey in China. Harding also spoke of the skill and athleticism the Jiangsu team displayed. Chiefs team coach Paul Williams witnessed rugby and the Chiefs culture to be a vehicle to bring the two cultures together. Jiangsu also appreciated the skill and experience the Chiefs team brought with them and Williams was delighted at how they represented the Chiefs brand. The Chiefs Rugby Club and Jiangsu are planning further training and player opportunities in the future. “In conjunction with our Provincial Union partners, it will be good to continue the ongoing conversation of how we can assist Provincial Unions in the development of women’s rugby in the Chiefs region an how we can continue to capitalise on the Jiangsu partnership” said Collins.